If you have a question that you think should appear below, then feel free to ask. Just send an email to us and we shall endeavour to provide an answer. When Should I First Contact A Removal Firm? To Save Costs I Wish To Do My Own Packing of China, Glass etc. But How Do I Do It? Do I Have To Take All Items Out Of Drawers? I Have Just Moved From Eastbourne to Southampton. I Switched On My TV But It will Not Work. Have You Broken My TV? 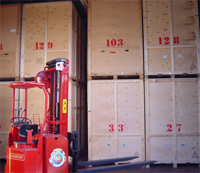 What Is The Advantage of Containerised Storage As Opposed To Conventional Storage? We only have two items to go to Scotland. Can you help or do you only move large loads? Can You Move and/or Store My Plants? Can You Store My Vacuum Cleaner? Can You Move and/or Store My Jewellery, Money, Deeds, Coins or other Collections? Can You Move and/or Store My Paint, Aerosols, Gas Bottles and other dangerous and inflammable items? Can You Move and/or Store My Food? Can You Move and/or Store My Pets? Can You Move and/or Store My Garden Furniture and Ornaments? What Should I Do About Mail Delivered To My Old Address? You Are Doing the Packing for me. Should I Take Everything Out of the Cupboards Ready for You? Can You Disconnect, Move and/or Store then Reconnect My Cooker, Washing Machine, Dish Washer, Tumble Dryer, Fridge and Freezer? I can not get boxes large enough for my duvets. How shall I pack them? Can you move my self-assembly furniture? We have fitted wardrobes. What should I do with my hanging clothes? How long will the removal take? On removal day what happens if there is a delay before we can gain access to our new property? Can I travel in the van with you to my new property? Which room do you want to take the furniture from first when you move me? What if the furniture won't fit on the van? I forgot to mention one or two extra items of furniture. Will the removal staff refuse to take them? Is there anything I can do on removal day to assist the removal staff? Can I pay for my removal and/or warehousing charges by credit or debit card? Can you move my effects to another country? How much notice should I give you before confirming my booking? Can you take down my Sky dish and TV aerial for me? As soon as you have someone interested in the purchase of your property is most likely the best answer to this question. You should never leave contacting a removal company to the last week or so before moving as you will most probably find yourself in the situation of having a removal date with no one to move you. Firstly the equipment you need is some sturdy boxes, some packing tape and white packing paper. These are all items that we can supply. You could use newspaper if you have no white paper available. If not already done assemble a box and securely tape the bottom. Next you need what we call a layer of rough at the bottom of the box. Rough is several sheets of white paper that have been screwed up. Wrap a few of the items in white paper and place them on top of the rough. Another layer of rough on top of the wrapped items just placed in the box and then some more wrapped items. This should be repeated until the box is full. 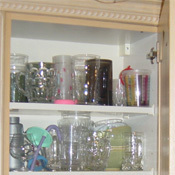 Keep the larger, heavy items close to the bottom and smaller items near the top. Packing the delicate items this way ensures the chance of breakage is very unlikely. For safety always lift packed boxes by holding at the bottom, never hold the top of the box. 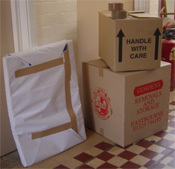 Books and similar items should be packed in the smaller boxes, as these items do tend to be rather heavy, and can be difficult to lift if packed in the larger boxes. We have found that our clients do prefer to use new boxes for packing, and for this reason the boxes we supply for you to do your own packing are charged for separately, and are non-returnable. 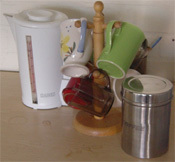 As long as the items are not fragile, it is normally quite safe to leave items in drawers. But don't leave things like cheque book and other important documents that you are likely to need on removal day. The only drawers that do normally need to be emptied are those under beds. Your TV will most likely need retuning to the frequencies used in the area you have moved to. You should consult the instruction manual supplied with the TV to retune or contact a local TV dealer, who should be able to assist. Removal companies and provisional bookings do not mix! Every working day we are asked if we are free on a certain date. If we say yes the next question is "Can you book this date provisionally?". To book a date provisionally means to us that we should pencil the date in and make contact with the person making the provisional booking before booking over this space. With the number of people this would mean contacting it just does not make the concept of provisional bookings practicable. With containerised storage your effects are packed at your home and loaded into a container. These containers are then taken to the warehouse. This means that your effects are handled only once. An inventory is made as your effects are loaded into each container, a copy of which is handed to you. Once your effects arrive at the warehouse the containers are stacked one above the other and close to each other. So the security risk is all but eliminated. We can move any quantity to any destination. With just a small quantity it would be more economical for you if we delivered when we have another removal in the area. We can move your plants. However do make sure you decide in advance which plants you wish to move, as they can take up a large amount of space on the removal vehicle. Unfortunately, we don't have facilities to keep plants in our warehouse. Yes. It is however important you ensure the cleaner is empty, to avoid any unpleasant smells, which could spread to other items in the container. To be on the safe side empty the cleaner first. No. Insurance companies are normally unwilling to insure for the removal and/or storage of such items. If they do the premium payable is often prohibitive. No. Such items can be very dangerous to move and store. Yes. We can move your food to your new address. No. We can NOT store food. Food can cause many problems causing damage to other items stored, causing other items to smell and also can encourage vermin and other wildlife. Can You Move and/or Store Pets? No. Unfortunately we have no facilities for removal or storage of animals. Yes. It is however important you ensure that all outside items are clean and dry. Please make sure you decide and advise us in advance which items from the garden you intend to move and/or store as they can take up a large amount of space. If you go to a Post Office they can provide a form that will allow for the re-direction of any mail sent to your old address. This is a service that they do charge for and you should advise them of your new address about a week before moving. No. It is best to let the packer take items from cupboards etc, as they are required, and in the order best suited for safe packing. It reduces the risk of breakage if all items to be packed are left alone until required. Also it could well be that the table or whatever that you have placed the items to be packed on may be required for loading on the removal vehicle before the packing is complete. We can certainly move and/or store all these items, but some will require specialist attention beforehand. You will need a corgi-registered plumber/electrician to disconnect and reconnect the cooker and washing machine. Also some types of tumble dryer need uninstalling and reinstalling, which we will not be able to carry out. The fridge will need to be emptied. Your freezer can normally be moved with its contents (but not stored) if you are moving locally. We would put the freezer on the removal vehicle last and take it off first at destination, so reducing the time unplugged from the mains to a minimum. 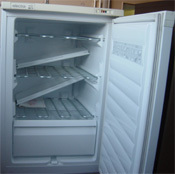 If storage of the fridge and/or freezer is required it is essential that they are empty, clean and completely dry. It is important that they are dry as mould can be a serious problem, and will almost definitely occur if any dampness remains. We can certainly move these items, but unfortunately most self-assembly furniture does not take too kindly to being moved and does not very often survive if it has to be dismantled. It should be noted that for these reasons insurance companies are often unwilling to insure such items. We have robe frames for your hanging clothes. A robe frame is just like a single wardrobe without the woodwork. The clothes are transferred from your wardrobe to the robe frame and a cover is placed over the top. The frames will be brought along on removal day. No two removals are the same, but under normal circumstances a local removal of average quantity (say a 3-bedroom house with dining room, lounge, kitchen, few garden items) and packing (say 4 kitchen cupboards of crockery, 2 shelves of books, few ornaments, CDs etc) would take all day. If there is a vast amount of packing we would most likely pack the day before the actual removal. If moving any distance from our base the removal would normally take 2 days, which would mean loading, packing and travelling to destination on the first day. Unloading, unpacking and travel back to base would occur on the second day. But do remember these timings are only a rough guide and can vary considerably depending on quantity, distance moving, packing requirements and also the type of property you are moving from and to (i.e. House, Flat, Bungalow etc), and access problems there may be. If the delay is excessive (i.e. we have to pay our staff overtime) unfortunately we would have to make an additional hourly charge. Unfortunately our insurance company do not allow us to carry passengers. You will find that we will take furniture from different rooms in the house in what may appear to be no particular order. In fact what we are doing is selecting items that will fit into the removal vehicle (or storage container, if a removal to store), in such a way that will cause, with the aid of blankets and ties, the minimum amount of movement, so eliminating the risk of damage. What if the furniture won't all fit on the van? One of our estimator's jobs is to calculate the quantity to be moved. Therefore the removal vehicle sent to move your effects will be the correct size. I forgot to mention about one or two extra items of furniture, will the removal staff refuse to take them? No of course we would not expect you to leave behind items like this. It may cause problems if say there was a whole extra room of furniture that would not go on the removal vehicle. Or we may have to make an additional charge for moving a quantity of effects that grossly differs from that originally estimated for. Moving furniture can be tiring work so one thing that would be very much appreciated on removal day is the odd cup of tea or other non-alcoholic drink. So bearing this in mind it would be a good idea to not pack away the kettle and a few cups. Other than that just let the removal staff do their work and all will go smoothly. Yes. We accept payment by cash, cheque (personal, company, building society or banker's draft) or any of the cards shown. Many of our storage clients pay their rental charges by banker's standing order. We often travel on the European mainland. We can also instruct our international agents to move effects to just about any country in the world. With removal bookings we have to operate a first come, first serve system. Therefore it is important that as soon as you have a removal date confirmed from your solicitors you advise us to avoid disappointment. In years gone by the period of notice received was in the region of six weeks or even more, but nowadays we often receive as short a period as seven days. The most popular day to move is Friday, so a little bit of extra notice is often required for that day. Another busy time is the end of the month and also just before special times of the year, such as Easter and Christmas. No. The TV aerial will need to be taken down in advance of removal by a professional aerial installer. There is no need to move the Sky dish. You should contact Sky direct and advise them of your new address. For a fee they will arrange for a new dish to be installed, at your new address if one is not already there. Don't forget if you have a question not covered above, then do feel free to ask. We are here to help. Please note that we have provided above guidelines to assist you when you move, however in exceptional circumstances the advice given may vary. We also ask that you remember that advice given by other removal companies may also vary.